When Jay Z established Roc Nation Sports and aligned himself with New York Jets rookie quarterback Geno Smith and New York Giants wide receiver Victor Cruz, it was natural to wonder when Sean “Diddy” Combs would throw his hat into the sports ring. Wait, no one wondered that? Well, Diddy thrust himself into the national sports conversation anyway this week when he told Bloomberg TV that he plans to own an NFL team one day. Diddy told Bloomberg that people have asked him if he planned to start his own agency to rival Jay Z’s, but Diddy said he has no plans to represent athletes. His eyes solely are set on ownership. 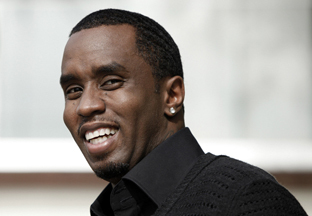 Earlier this year, Forbes estimated Diddy’s net worth at $580 million.